There have long been strong opinions on either side of the artificial intelligence debate; some people rave about its advantages while others can’t get past visions of machines systematically taking over a la 'I, Robot.' In this panel, we’ll bring together experts on AI, robotics and machine learning to discuss how the answer lies somewhere in the middle. Yes, there are the concerning aspects to AI - a less personal society and privacy issues - but also inarguable upsides, like anticipatory technology that enhances rather than detracts from the less digital parts of life. 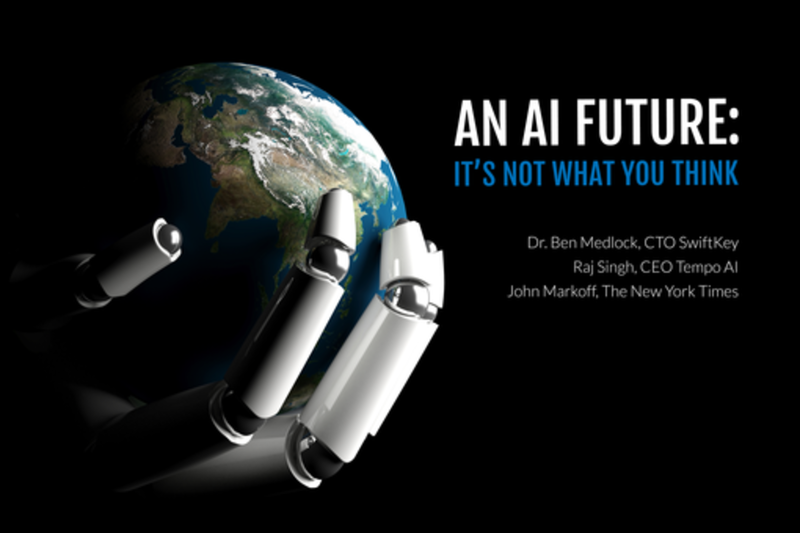 Join us for a debate on common myths, misconceptions and concerns related to AI, and what a future of human-like computers really means for our society. As co-founder and CTO of SwiftKey, Dr Ben Medlock invented the intelligent keyboard for smartphones and tablets that has transformed typing on touchscreens. The company is best known for its smart typing technology which learns from each user to accurately autocorrect and predict their most-likely next word, and features on more than 200 million devices to date. SwiftKey Keyboard for Android recently went free on Google Play after two years as the global best-selling paid app. SwiftKey Note for iPhone and iPad launched in January 2014 and the company will soon launch on iOS 8. SwiftKey was named the No 1 hottest startup in London by Wired magazine, ranked top 5 in Fast Company’s global list of the most innovative productivity companies and has won a clutch of awards for its innovative products and workplace. Raj Singh is a mobile industry veteran, having worked across the space over the past 14 years. He is founder and CEO of venture-backed Tempo AI focused on developing a smart calendar. In 2011, Tempo AI was spun-out of SRI (the team that developed the technology in iPhone’s ‘Siri’ personal assistant), where Raj served as an EIR in SRI Ventures. Previously, Raj was a founding VP for Skyfire. Prior to Skyfire, Raj co-founded Veeker, NBC’s video citizen journalism service and ToneThis, CNET’s top downloaded ringtone product. Raj has also worked in a variety of roles for Kodak Mobile, Dell Mobile, MobiTV, PlayPhone, Samsung, Turk Telekom, Vlingo and more. Raj’s personal projects include Pubwalk, a Wired Mashup of the Year winner, and YumYum Labs, an Android voice application and Sprint App 4G Challenge winner. Raj is also an advisor to numerous companies. Raj is a regular mobile writer and speaker, and a mentor at 500 Startups and Founder Labs.